Wheat whiskey is a variant of whiskey that’s predominantly made from – you’ve guessed it! – wheat. Generally American made, it contains 51% wheat in its mashbill and offers a softer, sweeter character than its siblings. 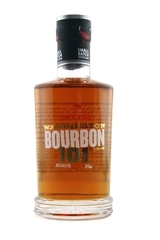 Wheat whiskies aren't that common, but a number of bourbons are "wheated". This means that, rather than using the more common option of rye, they use wheat in their mash. 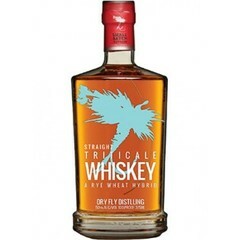 Wheat whiskey shouldn’t, however, be confused with wheated bourbon wheat. They are quite different beasts, although both make the most of this smooth, sweet grain. Although a relatively new phenomenon for the whiskey fans of today, wheat was the most common grain for whiskey in 19th century US and Canada. Its low cost and plentiful abundance made it a practical choice for early distilleries. Indeed, many distilleries emerged initially as side businesses from milling businesses, before rye began to take over as the preferred choice. As wheat fell from popular distillation as the main ingredient is whiskey, it continued to be used within bourbons, in the place of rye, to offer a sweeter and lighter character. Only since 2013 have modern distilleries begun offering specific wheat varietals again. And slowly, they have begun to re-emerge as an impressive alternative to single malt or blended varieties. You'll sometimes see two different spellings: "whiskey" and "whisky". In the US and Ireland you'll generally see "whiskey", and "whisky" is generally used most everywhere else. Wheat has more subtlety to its flavor than corn, and certainly more gentle than rye. While wheat lacks the complexity of flavor that the other grains offer, it’s body and soft texture more than makes up for it. 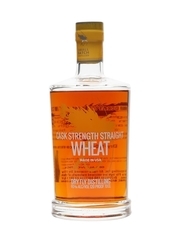 Wheat gives the whiskey it’s housed in a uniquely smooth and silky texture, with a long, light and slightly sweet finish. With softer flavors than its siblings, wheat whiskey is a fantastic spirit to drink neat – especially for newcomers to whiskey. Its lower intensity also makes it ideal for cocktails. Whisky stored in barrels evaporates at a rate of 4% every year. This process is known as the “Angel’s Share”. Wheated bourbon was created by William LaRue Weller. In fact, his name still features on the label of several wheated bourbons today. Weller’s brand, known as Stitzel-Weller, continued to produced wheated bourbon until its closing in 1991. So how is wheated bourbon made? Bourbon requires 51 percent of the mashbill come from corn. The remaining 49 percent is made up of whichever grain the distiller chooses, along with a small amount of malted barley. Whereas a majority of bourbon distilleries add a majority of rye to the remaining mashbill, some choose to switch the balance to a heavy amount of wheat. And thus you have a wheated bourbon. Wheated bourbons, such as Buffalo Trace, Heaven Hill, Maker’s Mark and Pappy Van Winkle have armies of fans who appreciate the subtlety of its flavor as opposed to the almost savory kick of rye. As with any whisky, however, the individual characteristics differ from brand to brand and from age to age. It’s said that wheat matures beautifully from approximately 7 years, moving further forward in the palate at this time and truly showing off its smooth sweetness. So what are you waiting for? If you’re seeking a smooth, slightly sweeter venture into the world of whiskey, then straight wheat or wheated bourbon should be your first port of call. Why not start with the beautiful Parker's Heritage Collection 8th Edition 13 Year Old Cask Strength Wheat Whiskey as your introduction to this unique variant?